On June 9th, 1911, Utah celebrated a historic occasion: Hotel Utah opened for business. One hundred years later, on June 9th 2011, Utahns again gathered together to celebrate this joyous occasion and honor this historic building. From the balcony in the main lobby, the Mormon Tabernacle Choir sang praises on this grand occasion as their voices pierced the hearts and memories of each person in attendance. 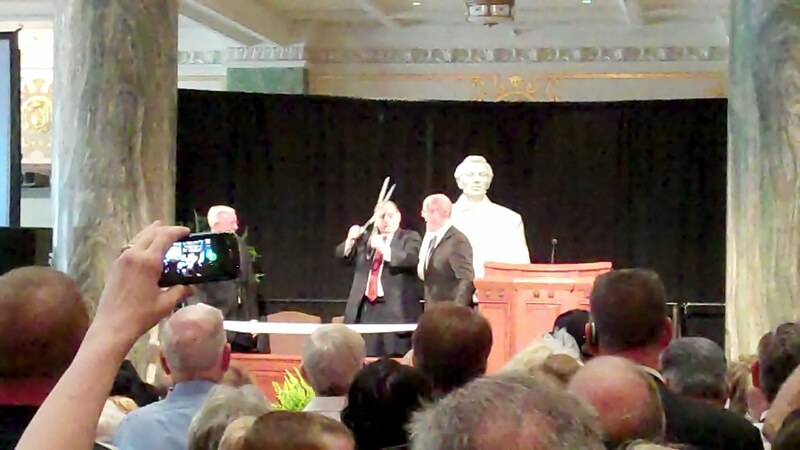 ﻿﻿﻿﻿﻿﻿"There was a time when there was a debate whether this building should be torn down," said President Thomas S. Monson at the 100 year celebration and ribbon cutting ceremony. "Some thought it should be, and some thought it shouldn't be; but I think everyone who wanted to see it preserved, felt it should be preserved because of memory." Hotel Utah doesn't lack for memories, and memories are what has kept this building alive for one hundred years! Memories of the soda shop, tornado wedding luncheons, marriage proposals, meeting that special person you go on to share 47 years with, dancing at the Starlight Gardens, visits from celebrities and United States Presidents are just a few of the memories shared on the Hotel Utah 100 Year celebration memory site. While browsing through these wonderful memories, one of my favorites is the memory of Paulette Yeats. She tells of a time when her grandfather stated to his young child "Here comes the most beautiful woman in the world," as her grandmother entered the lobby of Hotel Utah. Reading her memory, I can almost hear the old-time music playing on the piano as he whispered to his young child. I also teared up while reading Anita Wells' account of having her wedding luncheon in the same room her deceased grandfather had held his wedding fifty years before. You can read all of these memories, and share your own, on the Hotel Utah 100 Years of Memories website. Browse through vintage pictures of Hotel Utah on the J. Willard Marriott Library website. This historic building served as Hotel Utah for 76 years. It closed its doors in 1987, and reopened after much restoration in 1993 as the Joseph Smith Memorial Building. 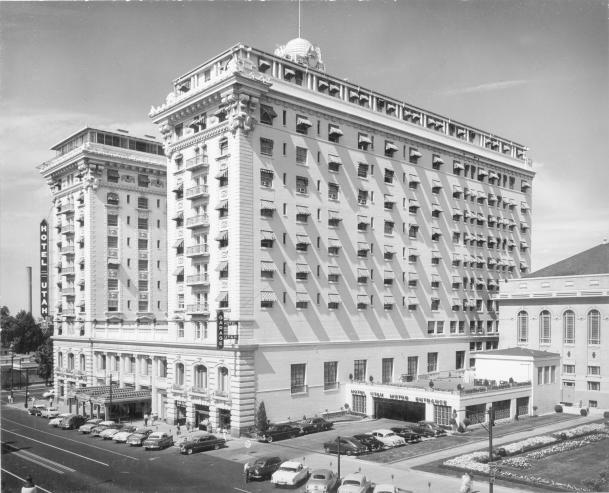 No longer operating as a hotel, its purpose has been changed to provide office space for the LDS church, whose headquarters are in Salt Lake City. The 100 years display is free and open to all who would like to view it. It is available from now until September, and is in the lobby of the grand Hotel Utah / Joseph Smith Memorial Building on the corner of Main Street and South Temple in Salt Lake City. 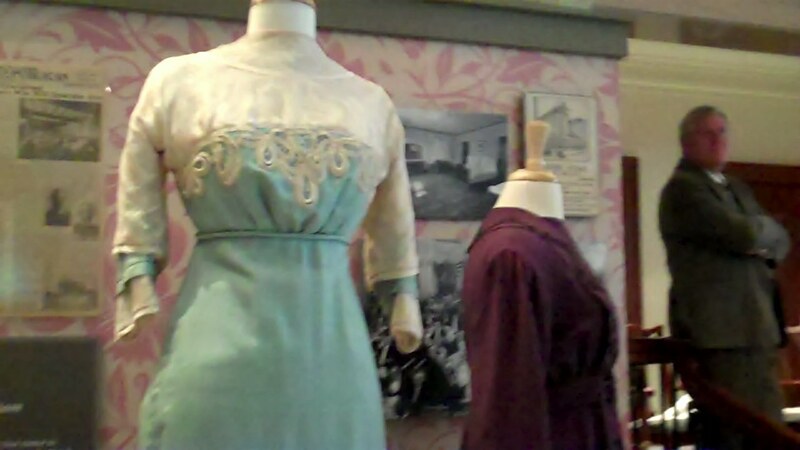 The display includes memorabilia donated or loaned to the Joseph Smith Memorial Building by local Utahns and others who hold the memories of Hotel Utah deep in their hearts. Some items on display include vintage clothing from that time period, pictures, newspaper clippings, vintage cars, room receipts, and much more.